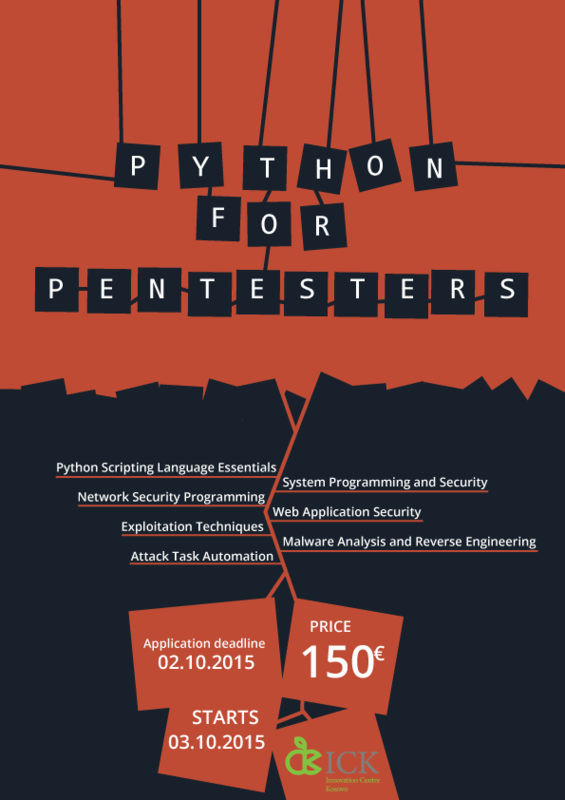 The Python for Pentesters aims to teach you how to apply the powerful Python language to security research, penetration testing and attack automation using a fully hands-on practical approach with a gradual learning curve. This course has something for everyone – from the novice to the expert user! This course is ideal for penetration testers, security enthusiasts and network administrators who want to learn to automate tasks or go beyond just using ready made tools. We will be covering topics in system security, network security, attacking web applications and services, exploitation techniques, malware and binary analysis and task automation. Drinor Selmanaj has experience in cyber security. He has been working with FLOSSK for 2 years now he is one of many contributors in Kosovo in many open source projects, he has been doing workshops around Kosovo in data security, also being a FLOSSKie he has been maintaining the network of the SFK (Software Freedom Kosova) the annual conference about open source in Kosovo. His expertise are networks and computer security. While on workdays he is the CEO of HelloWorld, a company which is focused on application development. His passion about computer security and networks never stops. He will be showing some awesome stuff at advanced cyber security training. 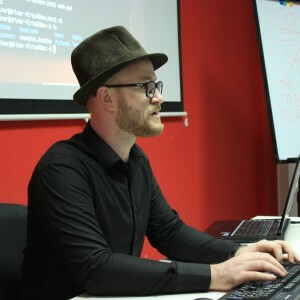 Drinor Selmanaj is a lecturer, entrepreneur and information security specialist from Kosovo. He has spent his years consulting, auditing, and hardening IT-infrastructures in companies and organizations across the region. As a lecturer, he has established a Penetration Testing programme at ICK which seeks to hone the skills of young technology enthusiasts looking into entering the field of cybersecurity. His entrepreneurial spirit led him to found a software development company called “Hello World!” centered around creating secure and highly functional digital products for local companies and businesses. He is the CTO and co-founder of “Sentry L.L.C” - one of the first companies in Kosovo to regionally offer products and an extensive list of services in information security. As a citizen of Kosovo and a member of various hacker communities, Drinor is able to see both the needs of legitimate businesses as well as the needs of a darker digital underground.